The Sri Lankan authorities have issued a warning to citizens who turned to free VPNs during the country’s recent social media blocks. They have cautioned that there was likely to have been an increase in the number of fake free VPNs applications available as hackers tried to take advantage of the country’s latest crisis. Regular readers will recall that we reported a couple of weeks ago on the Sri Lankan government’s decision to block social media in the wake of recent unrest in the country. Reports began to emerge around two weeks ago of violence in the country. It appeared to have begun in the centre of the country around the city of Kandy where the majority Sinhalese ethnic group began to attack the businesses and houses of the minority Muslim population. Fearing that the violence would spread, a State of Emergency was quickly declared across Sri Lanka. This was slated to last for ten days and as part of the measures, the Sri Lankan Government decided to block access to many social and online messenger services. 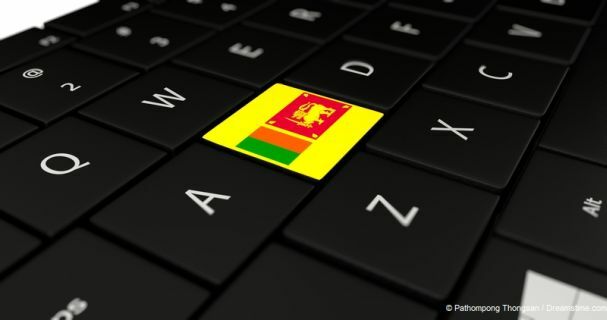 For many Sri Lankan’s the nationwide blockage of some of the most popular internet sites in the country were both a knee-jerk reaction and a massive overreaction to what many saw as an isolated regional incident. And inevitably, many quickly sought out ways to get around the blocks. The obvious place to turn was to a VPN. And many did, with Sri Lanka recorded the highest number of VPN downloads in a single day on record. However, many Sri Lankan’s opted to download free VPN services rather than premium subscription services and unfortunately many of these services come with catches. If they opted for a free VPN service from an established provider such as VyprVPN or Tunnelbear, they would not have encountered any major security risks, but would have quickly found their data allowance being used up. But as the Sri Lankan Government has now warned, those who downloaded VPNs from other sources could face even bigger risks. The warning, which came from the Sri Lankan Computer Emergency Readiness Team (SLCERT) stated that it is common at times when there is a spike in VPN downloads for hackers to attempt to cash in by releasing fake VPN apps and websites to try to fool people into downloading bogus apps and so sharing their personal information with the hackers. They are right, of course, that this is always a genuine risk at times when people are turning to VPNs in response to a sudden blocking of sites. But the truth is that even if you have downloaded a legitimate free VPN from a legitimate website, it is still quite likely that your data is not safe. That is because Free VPNs are still run by companies which have to cover their costs and try to make a profit. And there are two ways they can do this. One is to use advertising on the apps and the other is to sell the highly valuable user data which is being passed through their server. Some choose the former, which can be annoying, but many opt for the latter. Having a VPN which is selling your online data is totally at odds with what most people expect from their VPN. It also renders any protections your VPN offers you pretty meaningless too. Throw in the frequent vulnerabilities and security flaws that are uncovered in free VPNs and it quickly becomes apparent that free VPNs just aren’t worth taking the risk with. Signing up for a premium VPN such as IPVanish or ExpressVPN only costs a few dollars a month and for that you are getting a completely secure VPN service with cast iron privacy policies that you can rely on. Whatever your views on the Sri Lankan Government’s decision to block social media sites in response to the small outbreak of regional violence, they are right to warn about the potential dangers of free VPNs. If the ban in Sri Lanka goes on for a few days, they will help to circumvent it and allow you to access your favourite social media and online messaging sites. But they will do so at the risk of compromising your online security and privacy. And, unless you really can’t afford a few dollars a month to sign up with a proper VPN, they just aren’t worth the risk.